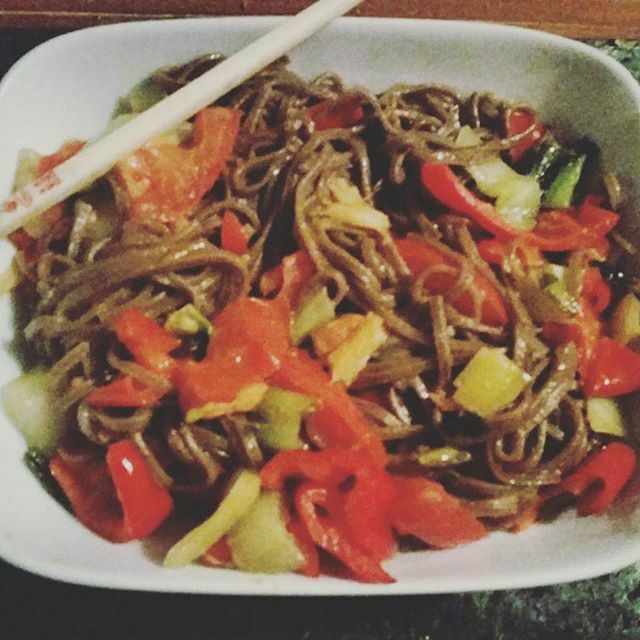 of soba noodles (as you would spaghetti) and simmer for 5 minutes. frying pan, then add two chopped spring onions and 1 diced sweet pointed pepper. this will give off a horrible taste. ginger, add both to your stir fry. them, rinse them and add them to your stir fry to heat through.